In the Cameroon capital Yaoundé, work was carried out late last year to repair and improve the city’s historic centre. 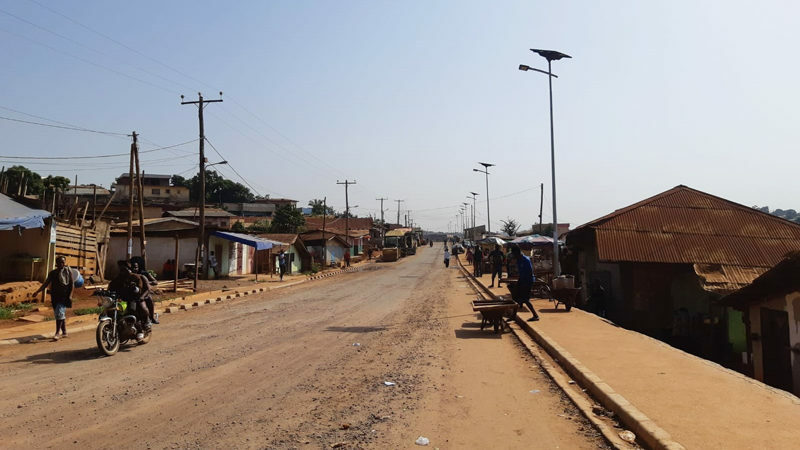 As part of this project, off-grid solar streetlights were installed on 2.5 kilometres (1.6 mi) of road to improve safety and security in the Etam Bafia district. There was previously no public lighting here, leaving the heart of the city in darkness and vulnerable to vandalism and other crime. The Fonroche solution comprises streetlights with 7-metre poles. They don’t require any maintenance for the first 10 years. The PV panel is treated with a hydrophobic coating to stop any build-up of sand or dust. And because the solution is entirely off-grid and requires no electrical connection, installation was completed quickly. Fonroche solar streetlights deliver uninterrupted lighting 365 nights a year. And with their broad, powerful spread of light, on a par with grid-connected equipment, dark streets are a thing of the past. 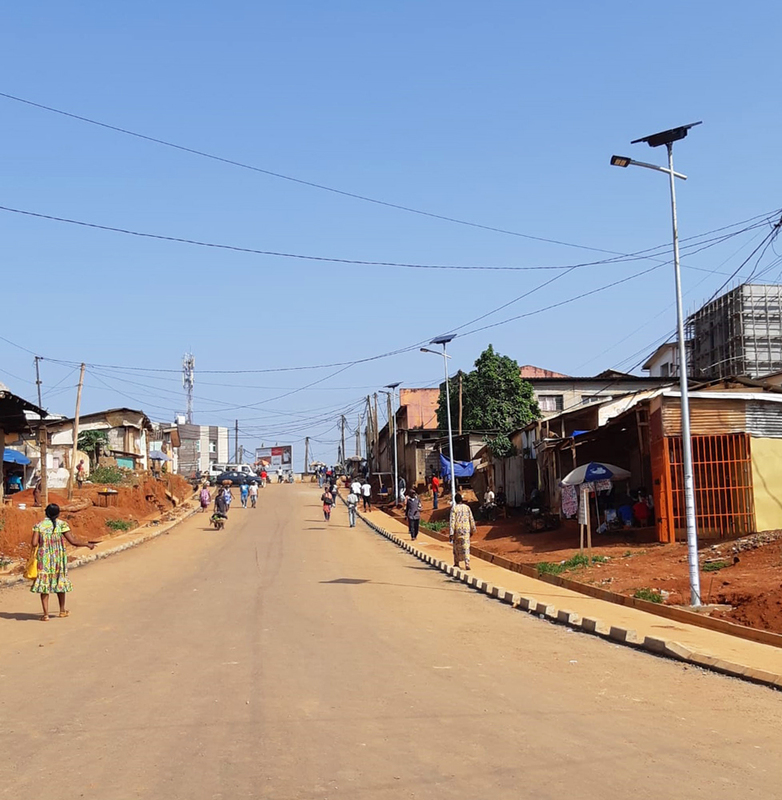 As a result, Yaoundé is now a safer place after sunset — thanks to solar energy. 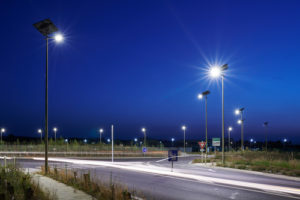 Local residents and retailers have hailed this urban lighting solution, which fosters economic development by effectively extending the day, with the key benefit of improved safety and security on the streets. In terms of access to electricity, Cameroon is about average for Africa, with an electrification rate of 54% in 2017. However, the country’s towns and cities are better served than rural areas, creating a real imbalance. Yet Cameroon has huge potential for green energy production, including solar and wind power, which are a largely untapped resource. To address this, the Government has introduced a policy to promote renewable energies as a way to overcome the energy deficit and regional inequalities and move to a more sustainable pattern of consumption. Education in solar energy is also planned to raise awareness about the importance of sustainable development. Fonroche solar solutions meet all the public lighting criteria set out by the country. They can be installed in isolated rural areas, where the power grid doesn’t reach. They help combat crime and security issues and foster local economic development. And in Africa, the climate is ideal for the batteries to recharge during the day. Previous Post [Battery] What’s the best energy storage technology for solar lighting? Do you have a lighting project ? Contact us !